CONGRATS! Local+Canadian Winners in 2017 International Songwriting Competition! Canadian musicians made a great showing at the 2017 International Songwriting Competition (including the Grand Prize)! Many of them were from our area. The only local 1st place winner was Hamilton's Lava Dolls who took the top spot of the Unsigned Only category. As a result, they'll be getting musical gear, CD duplication, free music distribution and more. 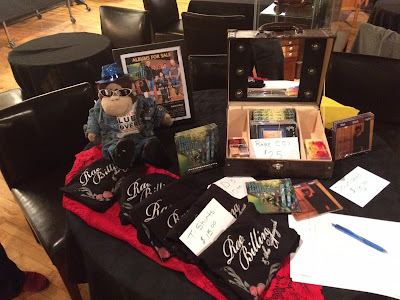 They also received honourable mentions in Folk/Singer-Songwriter and Unpublished categories. 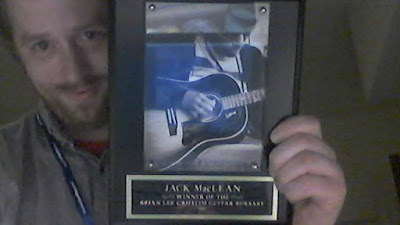 Fort Erie Bluesman Spencer Mackenzie won 3rd place in the Blues genre. This prize includes free music distribution, musical gear and more. 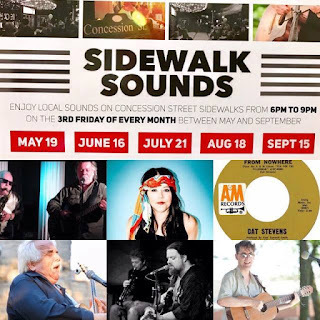 Other local artists who earned honourable mentions include Suzie Vinnick (Niagara) + Steve Strongman (Hamilton) for Blues, Brantford's Benjamin Dakota Rogers (Folk Singer/Singer-Songwriter) and Wes Mason from Rockwood (Teen). The big winner was also from Canada. Manitoba's Matt Epp ft Faouzia won the Grand Prize. They'll gain $25,000 (US), recording time, CD duplication, musical gear and much more. Here are a few highlights (including all the Canadian winners). Click here for the complete list. The Band on a Couch video podcast features incredible artists from across Canada and beyond. Every few episodes, they include a local act into the mix. Here are a few of those wonderful episodes. In honour of this Hammertown original, here are a few video of him in glorious action! CONGRATS! Local Winner/Honourees of the 1st Canadian Songwriting Competition! The inaugural Canadian Songwriting Competition finished up on May 2017 and songs by a number of area musicians were honoured by this fantastic contest. There were multiple categories and a huge grand prize. The only local artist to win was Cambridge musician Shae Dupuy, who earned the top spot in the Country genre. 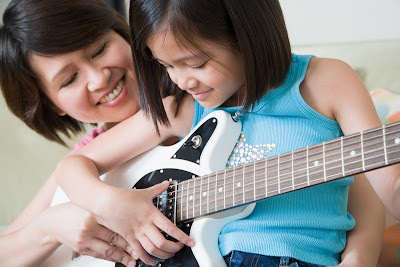 Like all category winners, she wins $250 cash, recording time for a single, professional consultation and a subscription to Canadian Musician Magazine. Three area songwriters were given honourable mentions in their categories: Burlington's Abby Hall (Under 18), JoJo Worthington (Gospel) from Waterloo and Guelph performer Mikalyn Hay (Pop). The Grand Prize winner was Ottawa's the Free whose song Freedom Island impressed the judges. His spoils include $5,000 cash, a round trip flight anywhere in Canada, consulting services, recording, mixing and mastering time, professional photography, a radio campaign and much more. Trebleclef went to the wonderful Pearl Company for the first time recently and he loved it! 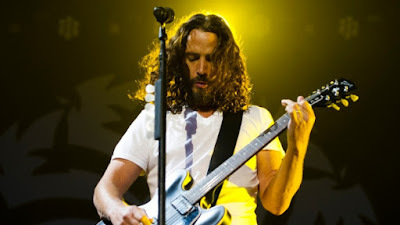 He saw the reunion of Rae Billing's old band Crybaby! 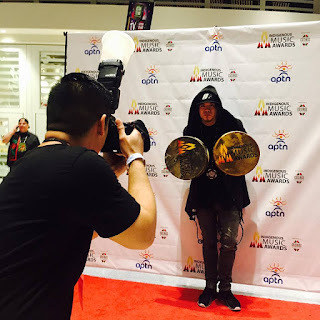 Winnipeg hosted this year's Indigenous Music Awards and three talented artists won at the ceremony on May 19, 2017! Brantford singer/songwriter Logan Staats won for Best Folk Album for his amazing recording Goodbye Goldia. Six Nations Bluesman Derek Miller won Best Producer for his work on that album too. Fort Erie's DJ Shub also took home the Best Instrumental Album trophy. There's always a lot to experience at the Concession Streetfest: great shops, fun for kids, amazing vendors and, of course, wonderful music. On Saturday, June 10, 2017 come on by and have a fabulous time. It runs from 11am-7pm. Here's the main stage schedule (along with a few videos). 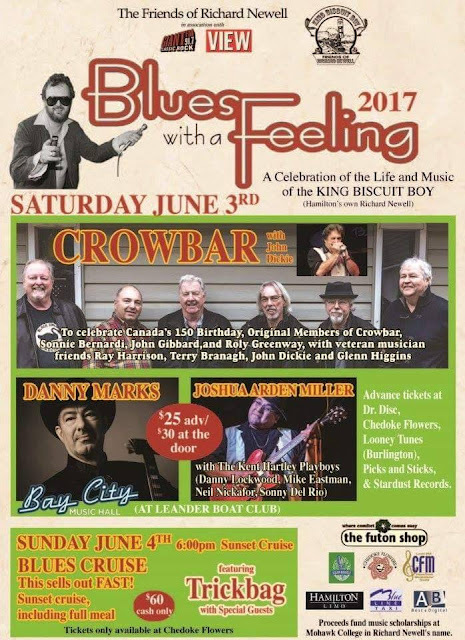 Members of the Hamilton Blues Lovers (including our mascot Trebleclef) will be MCing the stage! SEE YOU THERE! Trebleclef made his first visit to the Bar Upstairs in St. Catharines. Every Saturday, the Mighty Duck Blues Band invite guests to join them for an amazing Blues show. 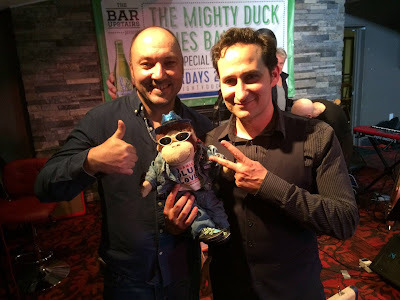 Raoul Bhaneja and Darren Gallen of Raoul and the Big Time popped by that week. It was incredible! Here's what you will see at the season opener (along with a few videos to get in the musical mood). 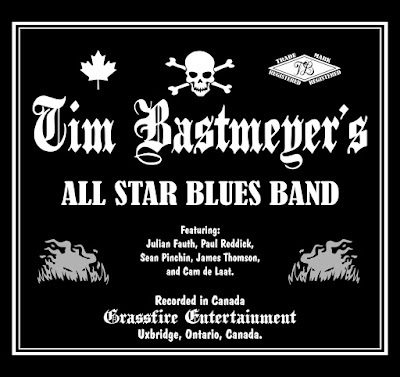 Kitchener's Sean Pinchin plays wonderful slide guitar as part of Tim Bastmeyer's All Star Blues Band on the latest incredible album. This recording has an amazing, earthy vibe from start to finish. Tim's enlisted quite an impressive group for this cool recording. Along with Sean, there's Julian Fauth (keys), Paul Reddick (harmonica), James Thomson (bass) and Cam de Laat (drums). Together, they've managed to mix in boogie and funk in to their marvelous Country Blues sound. Not surprising, considering the top-notch talent involved. If you catch any of the groups live shows, be sure to pick up a CD. You can also download it via iTunes. Kitchener's Gary Cain Band Album Serves Up Out-of-This-World Guitar! 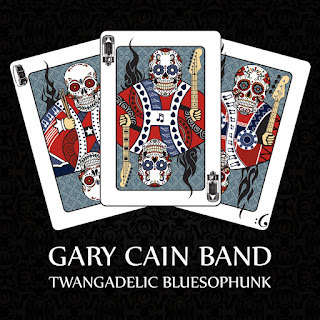 If you're hungry for some teeth-rattlin' blues, Kitchener's Gary Cain Band has a meal for you! 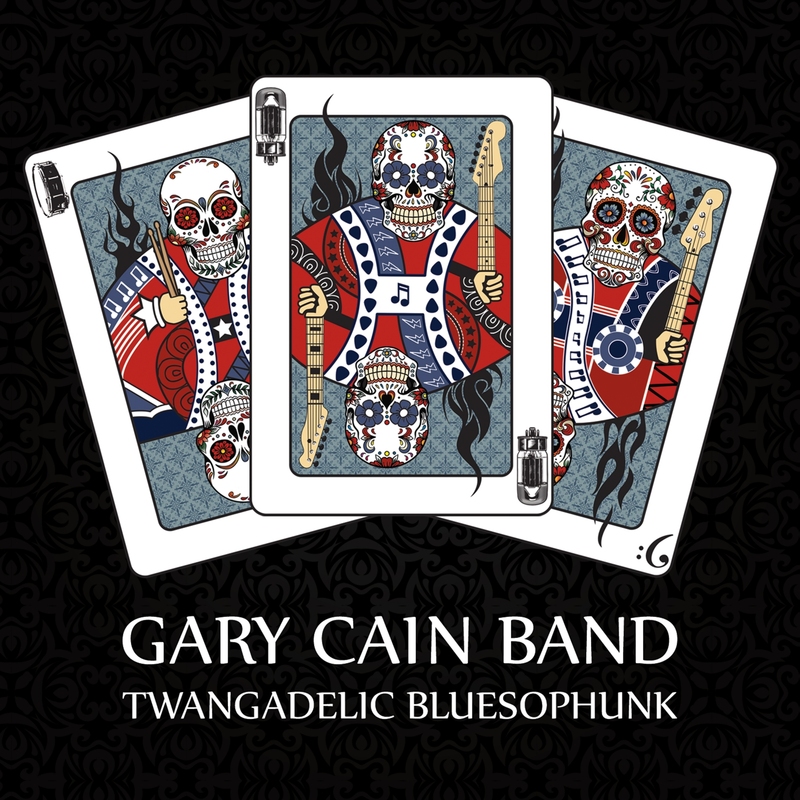 Their full-length debut album, Twangadelic Bluesophunk definitely satisfies. A veritable feast for the ears, the recording serves up out-of-this-world guitar with spectacular vocals and a hearty dose of energy. 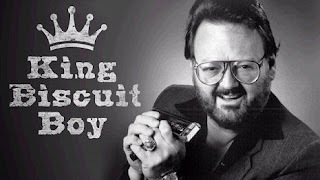 It's hard rockin', funky Blues with a side of country thrown in. You can pick up their latest dish at their unforgettable live shows or download it via Bandcamp. 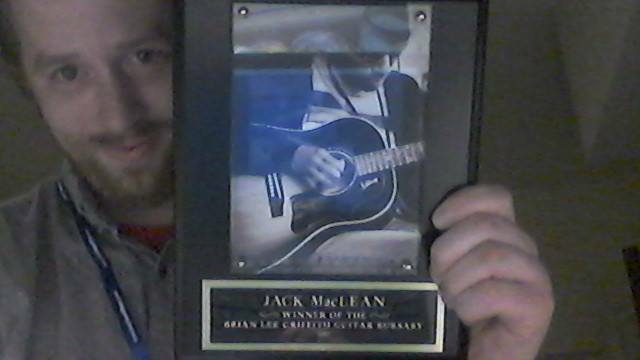 Talented Dundas multi-instrumentalist Jack Maclean (The Macleans, Whiskey Epiphany) was this year's winner of the Brian Lee Griffith Bursary. On Friday, May 5, 2017, he received the honour at the bursary's 3rd annual fundraiser at Bay City Music Hall. 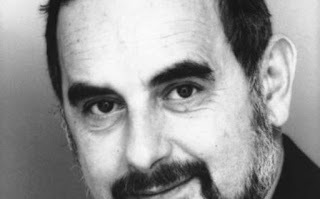 The bursary, named in honour of the late Hamilton guitarist Brian Griffith was set up to benefit up-and-coming guitarists. Click here to donate. "Just full of gratitude right now! Thank you!" Jack said on Facebook shortly after the event, "Wow... The memory of Brian shone bright tonight!!"